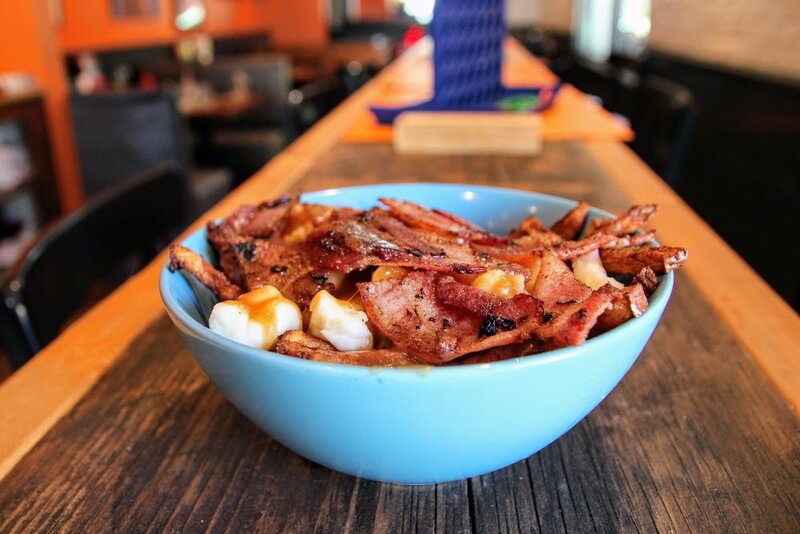 Hippi Poutine proposes you poutines and burgers inspired by the cooking of the five continents: from the European inspiration to the Asian markets, including Africa and South America. And of course, the journey begins here, in Quebec. We welcome you in a nice and warm atmosphere, where you can relax in family or between friends. At your disposal, Comics, board games, table football and for beautiful days, our terrace giving onto the square Saint-Louis! The poutine, a serious story! 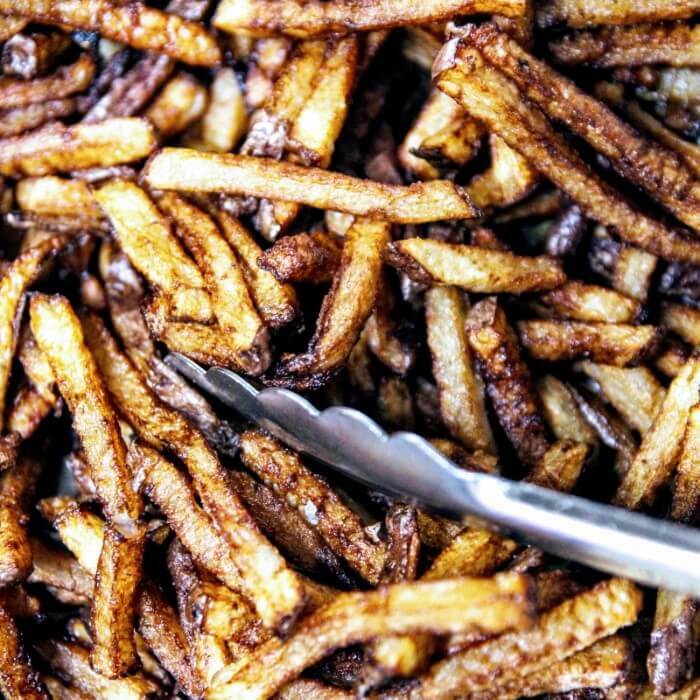 We cut every morning our potatoes julienne-style to guarantee most taste and crusty! We make age at cool our cheeses during 3 days for a strengthened and enriched taste. We prepare our sauce every day with ingredients skilfully selected. The result: a light sauce esay to digest. Other advantage: it's gluten-free! 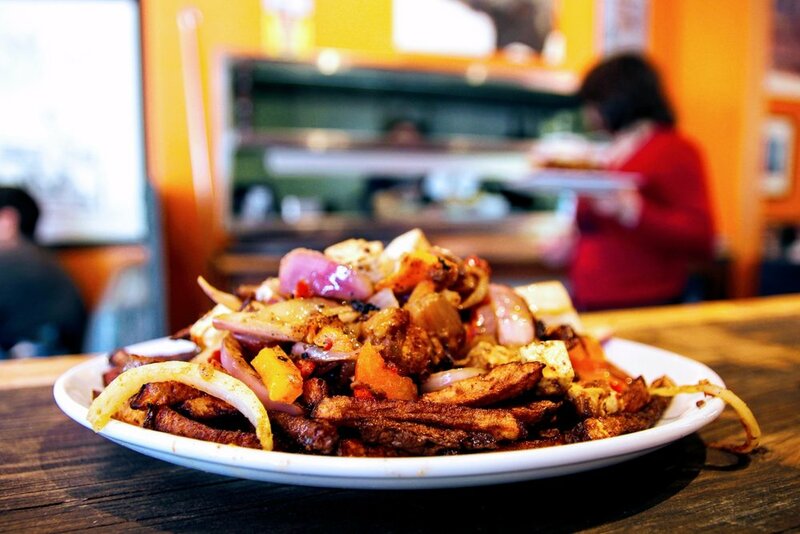 Hippi Poutine is a family-own restaurant administered by Antoire and Laurence Besson. Native of Bretagne, France, we felt in love with Quebec and more particularly with Montreal and with its unique atmosphere. Big followers of journeys around of the world, we decided to settle down here and to adopt in our way one of the most appreciated dishes from Quebec: the Poutine! Amateurs of a generous and delicious cooking we take particularly care of the quality of our food and the service offered to our customers.